Welcome to Healthy Chi. Welcome to Longevity Medicine. Passionate about Supporting Your Lifelong Vitality. At Healthy Chi we provide personalized medicine care to individuals and families with acute or chronic health issues to get you back on track so you can enjoy greater quality of life. Each of us has a “health story”. We listen and ask questions to address you as a whole person – not just treat isolated symptoms. We combine solid medical investigation with intellect + wisdom to tackle your biggest health concerns – so you experience results and greater well-being. How would you feel to thrive again and have an increased quality of life? How would you feel taking a pro-active approach, working with expert guidance down the path to deeper vitality? That’s what we do here at Healthy Chi. Does this sound like what you need? This is Longevity Medicine. By using acupuncture, herbs and nutritional supplements, and combining them with conventional and specialized lab testing, we can analyze your underlying patterns to bring your system into harmony again. 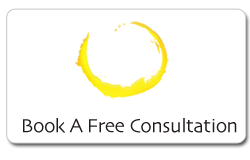 To get started, contact Debra for a free 15 minute consultation.